I’m featuring the wildlife this Photo Friday. 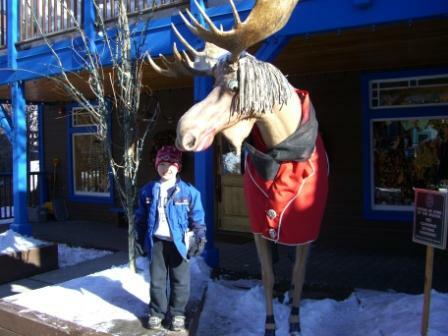 Park City, UT is a fun family ski resort which we visited in 2006. On a non-skiing day (because you always need to have at least one of those on a family ski trip), we explored downtown Park City – and took photos of our kids with some of the more interesting street art. Ski trips with children are not for the faint of heart. Read my tips for planning a ski family ski trip to make things easier for you and your family. Check out DeliciousBaby for lots more fun Friday photos from travel bloggers and moms and just plain bloggers from all over the world.